Buffalo technology is a global provider of design, development, and manufacturing of storage and wireless networking solutions. 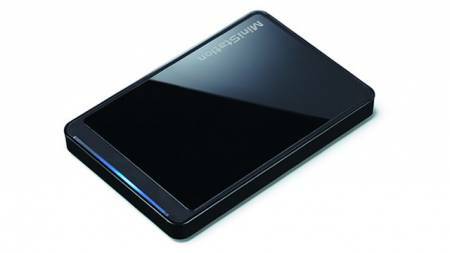 Today it has proclaimed the launch of MiniStation™ Lite USB 3.0 HD-PEU3 Portable Hard Disk Drive. MiniStation Lite USB 3.0 is especially designed for mobility. 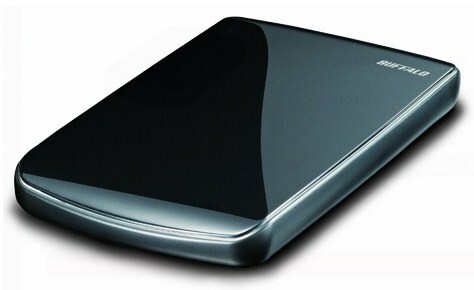 It enables better storage, protection and digital images transportation. Country Head of Buffalo Technology, Susumu Kobayashi said, “MiniStation Lite USB 3.0 is an innovative storage solution for consumers as it comes with simple plug and play option and features like Eco Manager and Turbo PC for windows. The MiniStation Lite is idle for secure, high speed storage and backup. MiniStation™ Lite USB 3.0 HD-PEU3 comes in a glossy black chassis that works with all USB 2.0 enabled computers and notebooks, as well as imminent USB 3.0 models. MiniStation™ Lite USB 3.0 HD-PEU3 with SuperSpeed USB enable users to quickly back-up and store important data and other digital assets and is available in 500 GB and 640 GB capacities. The MiniStation™ Lite USB 3.0 HD-PEU3 will be available across EMEA from April 2010. Portable GPS Tracker is one of the best latest gadgets. You can store data where ever you want due to having USB memory stick and a GPS receiver. It is very small gadgets so you can carry it along you anywhere. You can adjust it on any vehicle or person with the help of 007 spy mode. This is one of the best gadgets that recover your stored information and even secret routes. Once you have stored data in the tracker and then by connecting it with your computer you can download all the information that your have gathered. Then you can upload this data on Google earth, MapQuest, maps.google.com and Virtual Earth. For me this is the great due to its functionality of tracking. You can also capture your happy moments in it as well. So if you are going for holidays then take this tracker with you capture your memories into this small device. 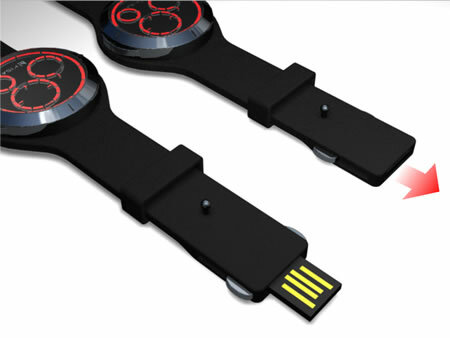 USB memory watch is a fashion piece and has a hidden USB device. 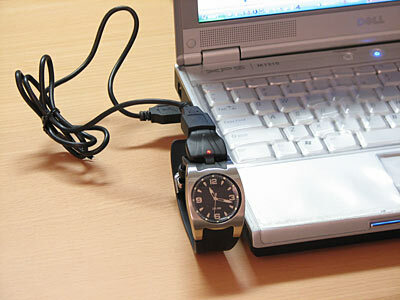 This is the master piece of Tokyo flash they now jamming USB drivers into one end of wristband of this watch. Therefore your drive will always within your reach. It has three small circles and each one represents usual things like hours, minutes and curiously the third one is not for seconds. The third indicates about storage space and notify you that how much storage space is there on your device. 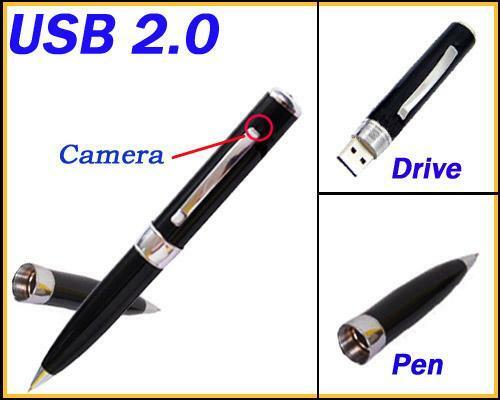 The coolest technology “Video camera pen” is a ball-point that possesses a built-in video camera which can capture videos and still images with one click of its button. It is ideal to use because it allow secret recording up to 2.5 hours of audio and videos. It can be used while screen in pocket and has a 1.3 MP image sensor which can capture up to 5 hours of AVI video and up to 20000 JPEG images. Its usage is very simple you just press a button and can record conversations, lectures and unlimited activities. Video camera pen has 4 GB memory with some optional features like time and date stamp therefore you can store your videos and images into this pen. Its congenial color camera lens is located just above the pocket clip and its microphone is located on the side of barrel under pocket clip. Furthermore both are camouflage enough to avoid detection. Video camera pen has a lithium battery that can provide power up to two hours before requiring a recharge with the help of included USB or AC adapter. 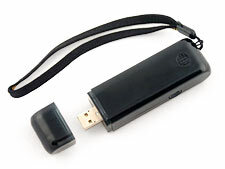 USB 2.0 port of pen allows you to download different videos after connecting to Mac or PC running Window XP, Vista or 7 without the need of loading software. 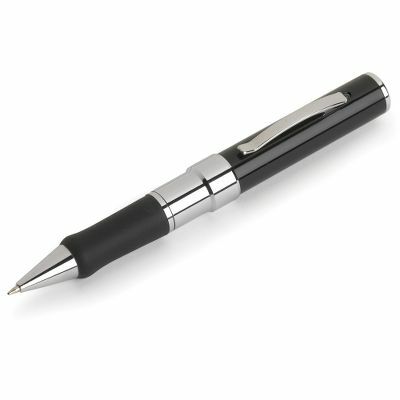 This pen includes one black and one red ink cartridge of 5 1/2” L. (1 oz.). You can buy this pen at a price range of $99.95. Note Taker Pro is a small portable device that takes your handwritten notes and documents and turn them into a digital format to view on your computer or mobile device. 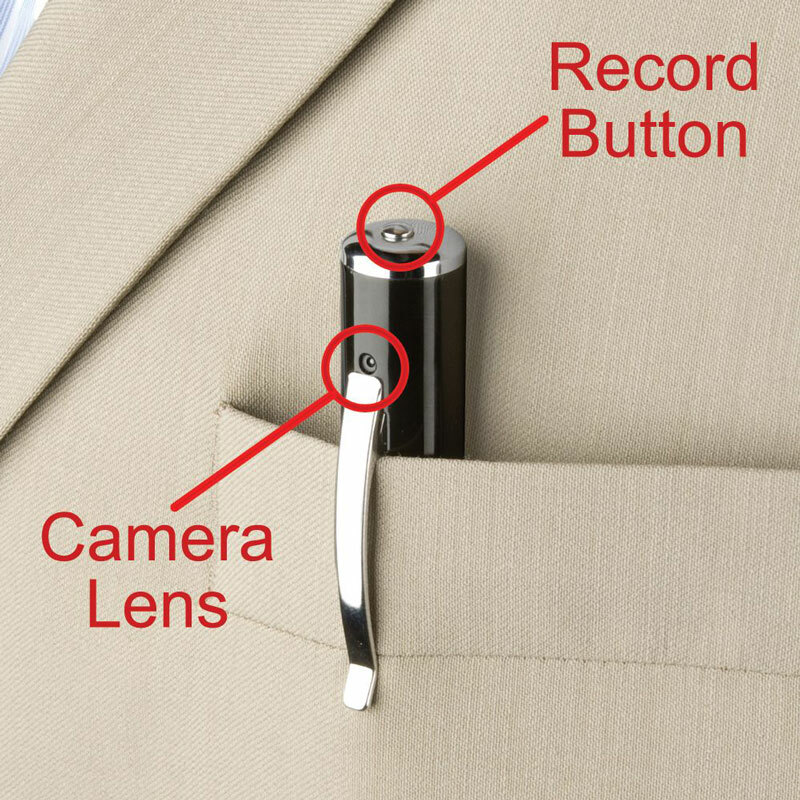 This handsome device makes the task of taking complex notes during lecture, presentation or business meeting very easy. It comes with a pen device that works just like a traditional pen. 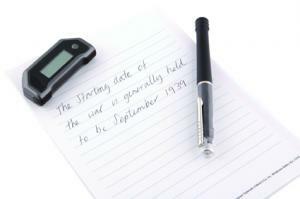 You clip the Note Taker Pro device on a piece of paper or notepad and start writing. Its patented technology combines ultrasound and infrared waves that accurately track the positioning and working of pen device and then convert the pen movement into vector image. Then the page becomes ready to upload onto the computer or mobile. Note Taker Pro works great when you are away from your computer in a lecture or meeting hall. You simple record the pen-strokes, make notes and upload onto your computer later. But it is also useful in many other ways. It can recognize the handwriting. 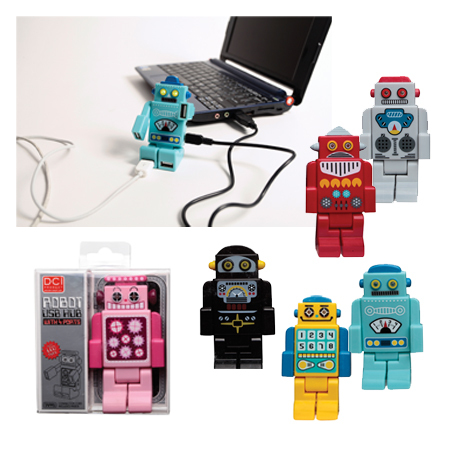 It can also work as a tablet computer compatible pen device when you plug it in the USB port of your computer. You can either use it with left or right hand, it works equally useful. When your device is plugged into your computer USB port, you can see alerts right on the screen if your device is connected/disconnected, memory is full or battery is low in charging. You can open the folder like other folders to see the number of saves notes and many more features. System requirements for Note taker Pro are Windows Vista, Windows XP (SP2) or Windows 2000 (SP4). Its battery takes full 3.5 hours to recharge and the device can cover the A4 page area. Price is approximately $119.